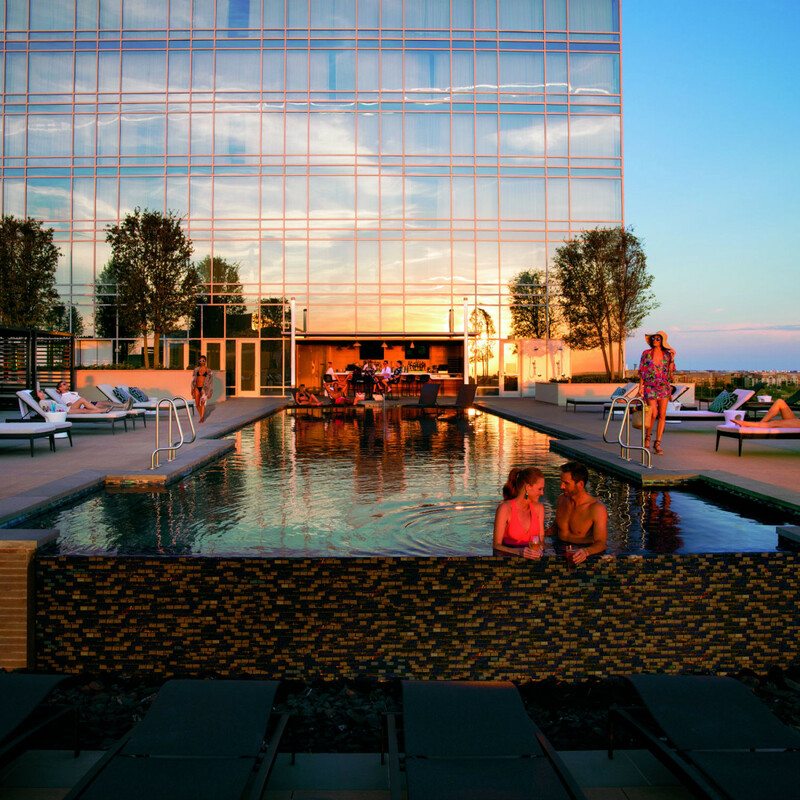 Dallas has some of the coolest hotel pools in the country — from rooftop infinity pools that surround you with city views to sparkling pools set in the swankiest courtyards you've ever visited. Usually you must plan a staycation to take a dip. But this summer, some of Dallas’ most marvelous pools are opening their sun-soaked, bartended decks to the public. Here are 10 top Dallas hotel pools for a summer swim. Some are brand new, and some are favorites for good reasons. Most are available for a daily fee or by RSVP to special events, but some do require you to be a hotel guest to swim. They're included because they're worth it. 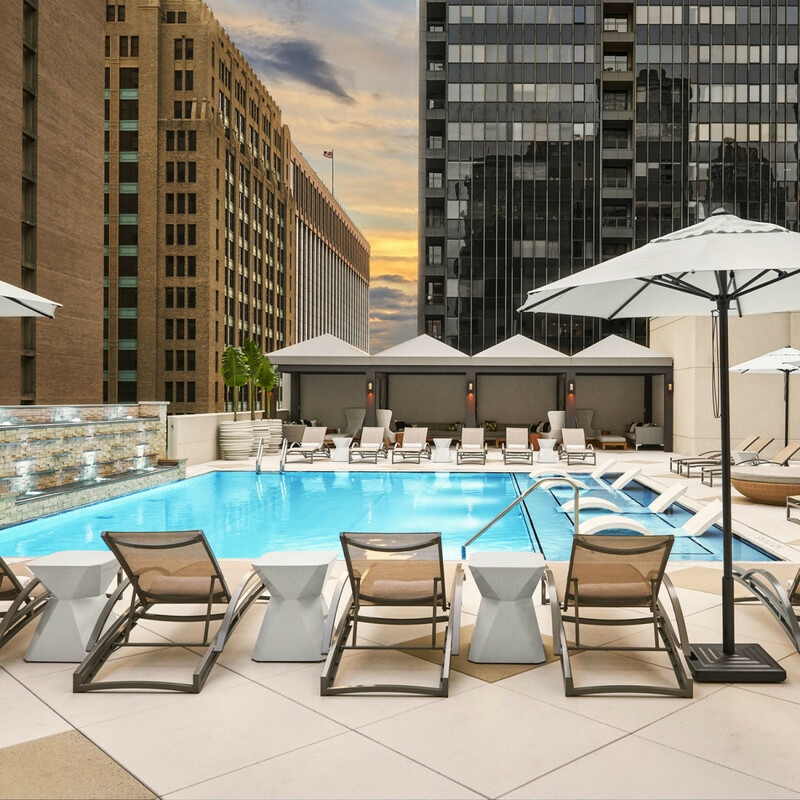 The recently renovated Adolphus hotel also is opening its pool to the public all summer — for free. It’s open to non-hotel guests every Friday night for Sundown on Seven from 8pm-midnight. Take a night swim and have cocktails by the fire pit, all while listening to DJ Souljah. The pool itself is 4 feet deep and has a refreshing limestone waterfall. Although the pool is exclusively for guests, The Crescent is worth the overnight stay. 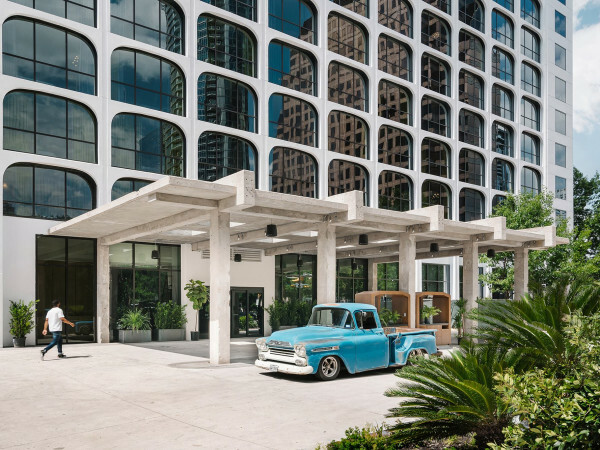 After its recent multimillion-dollar renovation, the iconic Uptown hotel has modernized and spruced up its lobby, guest rooms, and spa and fitness center. It is possible to become a member of the Crescent Club and gain access to pool on the second-floor urban oasis. For breathtaking skyline views, reserve a spot at The Joule any Sunday through September 2. For $50, gain one day of access to the plexiglass-fronted rooftop pool, even if you're not a guest of the hotel. A day pass includes valet, one snack, and one drink from the pool menu. Test your courage by swimming to the edge that hangs off the building by 8 feet or kick back and relax on a chaise lounge. The historic Stoneleigh's pool is open to the public on weekends — for free. You can tread water at one of the pool parties, wade around on floats, and listen to a live DJ. While you're there, you can try the hotel's new French restaurant, Perle on Maple Restaurant & Bar, which serves "bistro classics with a Texas twist." Located on the rooftop patio of the NYLO, this beautiful pool allows swimming for guests only. But the bar is for everyone, and the view of the Dallas skyline from The Cedars is worth the trip. 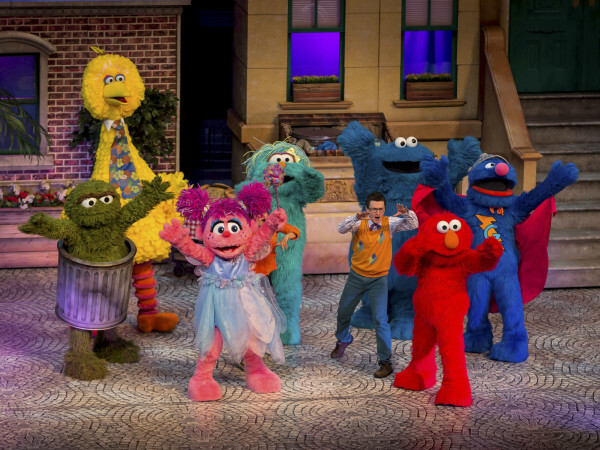 Stop in for a drink before a show at South Side Ballroom or dinner at the Terrace Bistro. Omni Frisco opened last summer at The Star, the popular new entertainment district in Frisco. The Edge pool deck and bar is for guests only, but worth paying for a night after checking out the Dallas Cowboys headquarters or going to a FC Dallas soccer game at Toyota Stadium. The pool overlooks events on the Ford Center next door and includes a bar and grill, cabanas, and fire pits. Although you have to be a guest for this one, the new Legacy West hotel in Plano is worth the cost to stay. 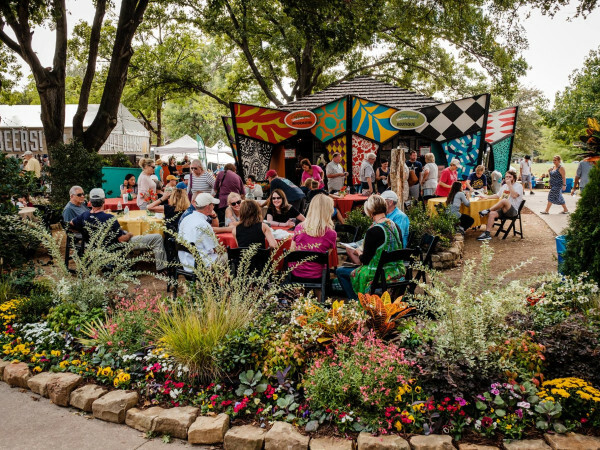 Take a little staycation 30 minutes outside of Dallas and enjoy the scenic rooftop pool, but stay to dine at OMA (an Asian fusion restaurant) and explore all of the “West of Zen”-themed art displayed throughout the building. 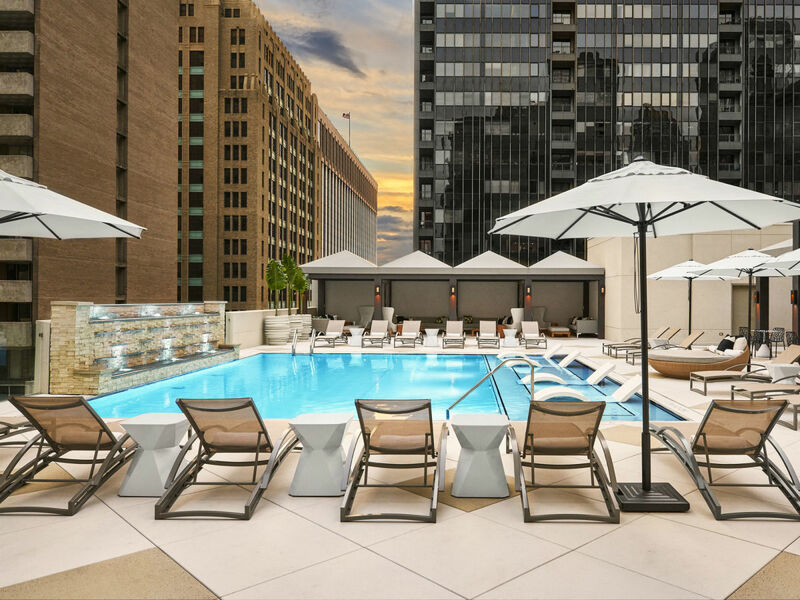 Renovated in February and open for business, The Statler is hosting Secret Sundays for non-hotel guests at the hotel pool bar, Waterproof. You must RSVP on Facebook or Prekindle to attend the party, but make sure to get there early as entry is first come-first served. 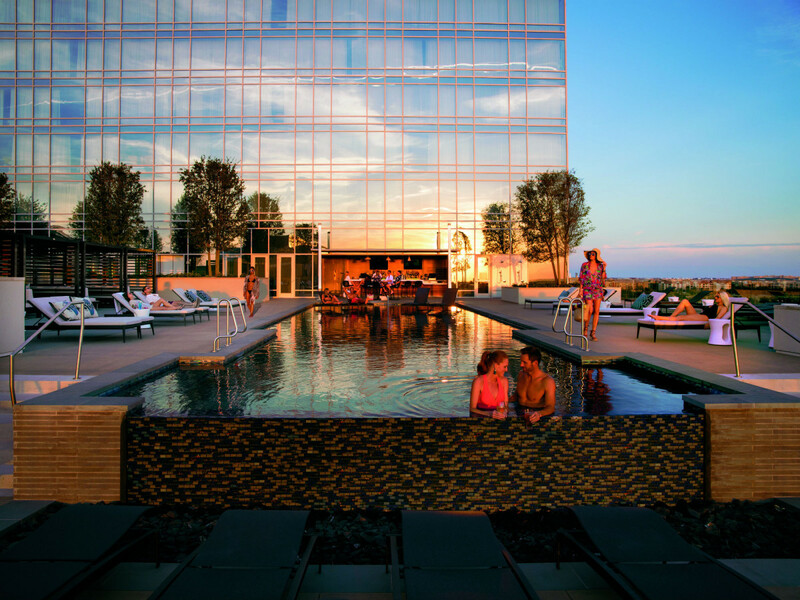 The rooftop pool is immersed between skyscrapers and downtown views; a free ticket includes access to the pool and an opportunity to jam out with DJ Blake Ward. On Sundays, or "Sundaze," The W hotel opens the Wet Deck on the 16th floor to everyone. Just go to Eventbrite.com and buy a Sundaze pass for $20. Spend Sunday Funday at the downtown hotel, floating across the panoramic rooftop infinity pool and taking in some city views with a drink in hand. At Hotel ZaZa, you must be a guest to swim, but the bar is open to all. Grab a drink at the Dragonfly next door, while still enjoying the ambiance of the lap-style pool in the swanky backyard setting. Or, if you absolutely cannot resist the charming little pool, pay for a room and join the cool kids in the water.